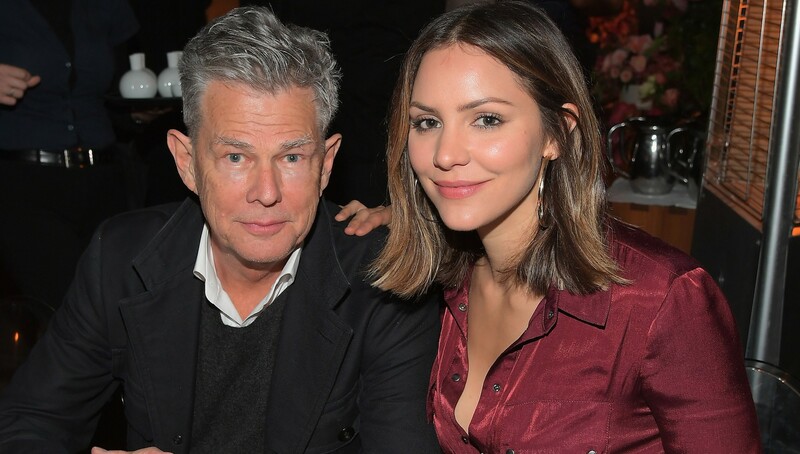 If there were any questions or confusion about whether or not Katharine McPhee and David Foster were dating, that ends now. McPhee and Foster, who have been spotted together more frequently in the last few months but were shy to declare their relationship status until only recently, were once again spotted together over the holidays in Paris. New photos from Us Weekly show McPhee and Foster were in full-on PDA mode, seemingly incapable of keeping their hands off one another. Although you’ll have to go to the Us Weekly page to see all of the adorable photos, which consist mostly of McPhee wrapping her arms around Foster and kissing him (OK, that’s actually super cute), the one you’ll likely see most frequently is the one below. Here, Foster seems to want to come in close to stay warm on what is no doubt a very chilly Parisian day. He wraps his arms around McPhee, and despite wearing some odd sunglasses (what’s going on there, dude? ), she leans in close to him. McPhee did post a photo from what appears to be the same day — take note of the clothes — but alas, it was just a solo shot. One could presume Foster took the photo of McPhee posing in front of the Eiffel Tower, but we can’t confirm that for certain. These two look like they’re having some fun together, and there’s absolutely nothing wrong with that. I mean, who wouldn’t want to go on a romantic holiday trip to Paris with their new beau? It’s definitely a good way to keep the romance alive and kicking, even in these early days.